This is UAEM Europe's monthly newsletter! Share widely! Thank you all who voted for the election of the new European Coordinating Committee, the ECC, for the term 2015-16. We’re happy to introduce to you an ECC of 10 dedicated UAEMers, some who were re-elected and some who are new to the Committee. We represent a broad spectrum of European chapters, but most importantly we all represent UAEM Europe, and you can always contact us, if you want to get involved in the European campaigns, need help with Global Access Licensing advocacy or if you have any questions relevant to the ECC. The Access and Innovation Movement (or AIM) is aA campaign focusing on the reformation of the R&D Research and Development system on multiple political levels. The Knowledge Stewardship Campaign focuses on action, which pushes public research institutions towards implementing Global Access Licenseing policies, to ensure the global availability and affordability of the fruits of biomedical research. Both campaigns have plenty of opportunities for chapters and individual members to get involved in lots of exciting projects. Want to get a closer look? Read the details in the 2015-2016 Action Plan! The first pilot Global Leadership Annual Meeting (pGLAM) took place last week in Geneva, where representatives from each region (UAEM Europe, North America, Brazil and Asia) came together to discuss key questions for the emergence of UAEM Global and its governance. After the tremendous work that the pilot Global Governance Council has done throughout the year in terms of producing the proposals for UAEM’s global governance, structure, international communication etc., and gathering feedback from each region, this meeting served as a brilliant impulse towards the coherent coordination of all of our regions for the maximisation of our impact as a global movement. With the invaluable advice from global health professionals including Ellen t’Hoen (Medicines Patent Pool) and Jérôme Oberreit (MSF International), core UAEM matters such as its Mission and Vision, the use of GALF, and the International Strategy plan were re-evaluated, with the aim of discussing the tools and activities that need to be developed or emphasised for UAEM to work in the most sustainable globally coherent manner. Strong accent was put on ensuring that each project and campaign that we embrace contributes to UAEM’s access, innovation and empowerment goals, and serves these by fitting within UAEM’s long-term strategy. After learning form each region’s projects and ideas, the first UAEM Global campaign was decided upon. Its aim is that the WHO decides to move forward with the negotiations of the R&D treaty in the open ended meeting in March 2016. This treaty would promote an alternative R&D system to the current profit-based one, and is therefore of greatest interest that UAEM chapters reach academia, civil society and politicians to advocate for WHO’s approval of the negotiations of this treaty. We hope to share the excitement about UAEM Global with every single UAEMer! What's that? A new team to empower European chapters! UAEM Europe is looking for a new European Empowerment Committee! Could YOU be the member representing your country? The Empowerment Committee members will be appointed by national elections. Every national branch is eligible to appoint an Empowerment Committee member. This is an exciting opportunity for ANYBODY, passionate about empowering students and activists, to help UAEM achieve its goals. Empowerment is based on the idea of giving members education, resources, opportunity, motivation, as well as give them the power to affect meaningful change. 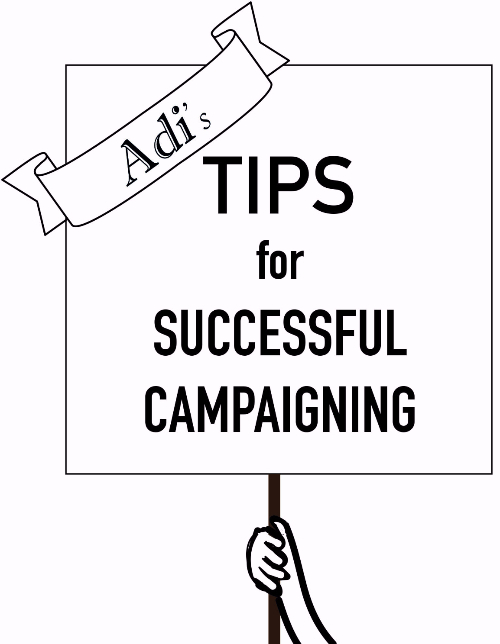 The main job is to ‘make sure that chapters and members have the skills and capacity needed to carry out successful campaigns’. An incredibly important role within UAEM. The new committee will brainstorm a plan of action, and figure out the best work areas for them to do. Please don’t worry about having English as your second language. Work load (an estimate): 3-4 hours per week (variable) and a 60 minute skype call every two weeks. For a long time, the chapter conversed with several people from the university's management, raising their demands for adopting a GAL policy. It seemed for a while that the management was responsive and offered to involve the chapter in drafting the policy. However at a certain point the TTO stopped following up on that, and the cooperation reached a dead end. This was the moment when the chapter realized it was time to put pressure on management, and did the flash mob. As a result, the vice president of the university declared that they will adopt GAL in their policy. A very important lesson here is that talking and meeting with management can not be the only tactic - we should combine it with public actions to create pressure on the university. While planning the flash mob, the Freiburg chapter made sure to publicize it on Facebook and local media (a radio interview took place during the morning before the event). This created public expectations of a response from management. It also made the vice president well aware of what was about to happen, which resulted in him preparing for the demonstration to make his statement there. Following his speech, the chapter prepared a press release and sent it out to the media. In such cases, it is advisable to prepare an up-to-date and comprehensive list of media contacts beforehand. They received several responses - one from a German TV channel. The journalist was asking what could a televised story about this could look like. This is a moment when it is very important to put ourselves in a role of an assistant to the journalist. Journalists are usually much less familiar with the topic than us. They also frequently work with tight deadlines. The more we help them to construct the story, the more influence we will have in shaping it the right way. This is why Nora from the chapter, after consulting with others, spoke to the TV journalist and suggested 5 components which could form up a news story about GAL in Freiburg. Last, but not least - UAEM Basel and Heidelberg chapters joined the flash mob in Freiburg, which contributed to the success and is a great example of cross borders organizing. UAEM Berlin at the IPPNW's conference! 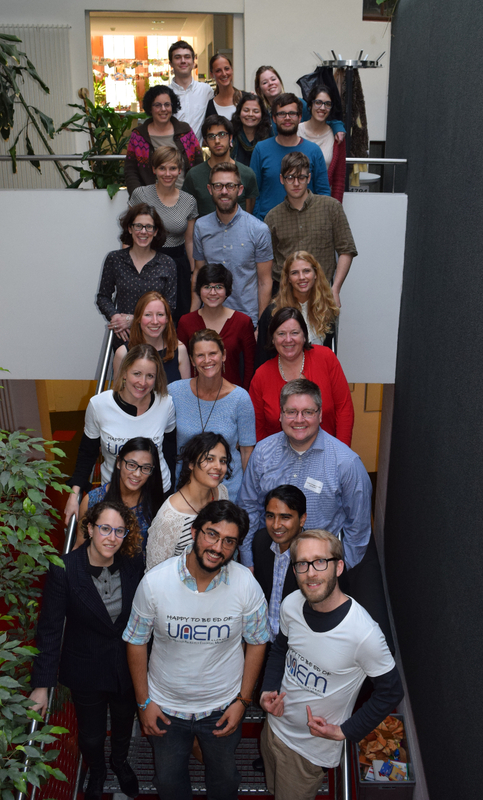 UAEM Berlin recently ran a workshop as guests at International Physicians for the Prevention of Nuclear War (IPPNW)'s European conference. We presented a scenario in which a foundation plans to donate 100 million dollars to whoever can use the money to prevent as many deaths as possible. Our workshop involved four groups, an NGO and a pharmaceutical company trying to limit the spread of type 2 diabetes in India; and another NGO and a group of Yale researchers combating Ebola. The groups are tasked with convincing the foundation that they deserve the grant. ~20 IPPNW members attended. After brainstorming within the groups, we hosted a 45-minute “fishbowl” discussion. Every group has only one participating representative, but they can be swapped for another group member at will. Clearly, researchers, NGOs and pharmaceutical companies would approach the same disease differently. This was reflected in the discussion: the researchers and corporations preferred new drug development while the NGOs aimed to improve the conditions leading to the spread of their diseases. We then gave a brief introduction to UAEM, NTDs and licensing. Two people commented that they would have preferred more information on UAEM. Next time, we willl either do that or consider giving the talk first, when people’s attention span is still good - discussion will always be engaging but it’s easy to switch off during a presentation. Health system strengthening has collateral positive effects: preventing Ebola cases by e.g. improving sanitary conditions also limits the spread of other infections. Ebola's relatively small body count does not reflect its potential in a pandemic. Unlike improving Indian conditions, the impact of developing a diabetes drug would not be geographically limited (in theory, but it may only reach high-income countries). As medicinal diabetes treatment already exists, but isn't being delivered to Indians, and people are badly educated on risk factors, improving access and prevention may be a more effective approach than developing new medicines. There is more room for improvement in Ebola treatment. It was brought up in discussion within the diabetes NGO group that insulin storage is problematic when room temperature is high and fridges are scarce. While temperature-resistant insulin may be a possible research project, supplying fridges would allow storage of other heat-susceptible medicines. Materials used are available here. Check out Jacob Levi's video on AMR and share widely! Curious about World Health Assembly and global health diplomacy? 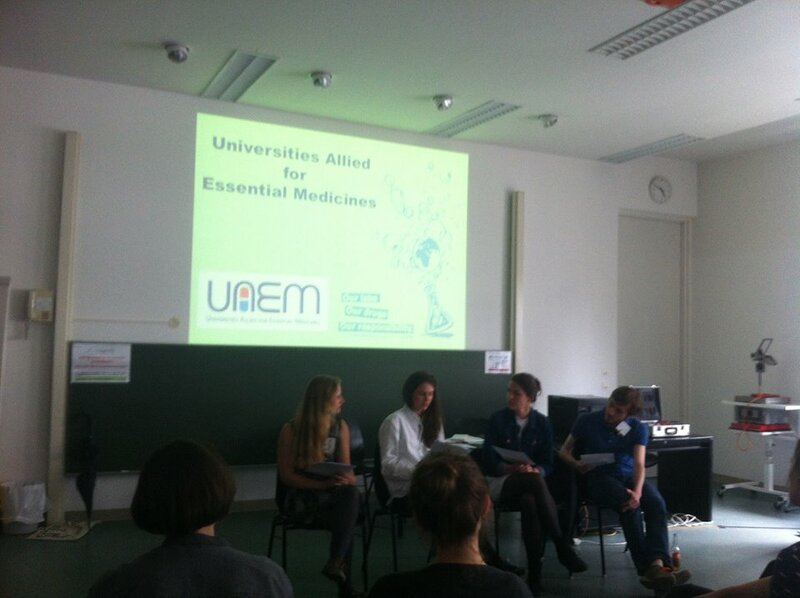 Want to know what our UAEM-WHO Working Group is up to in the coming year? Join the next Skype call (June 12th 21h00 CET). Contact Sam!